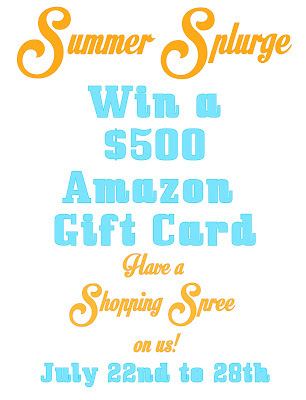 Tobins' Tastes: Summer Splurge: Win a $500 Amazon Gift Card! One thing about summer is that it is full of reasons to buy things. Cute bathing suits, make up with spf in it, books, dvds, camera accessories, a giant rolling cart to store all my sprinkles in (that one is probably just me). And the dangerous thing about Amazon is they have all those things. With free shipping. And my payment info is already saved, so it's so easy. So dangerous. Which is why I would really be able to use a $500 gift card to my favorite, one stop online shop, Amazon.com. And when Lisa from Wine & Glue asked me if I wanted to team up with her and an fabulous group of bloggers from Online Blog Con to give one away to one of our lucky readers, I was all in. 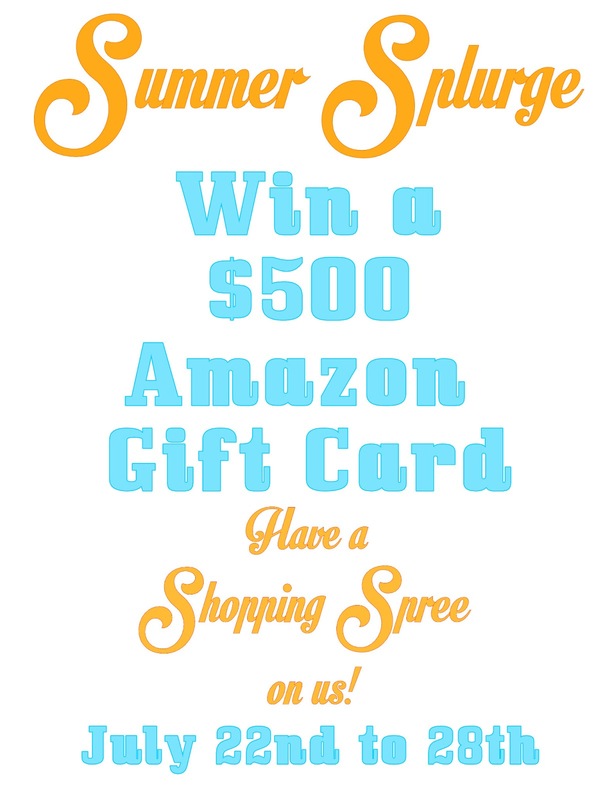 So head on down to the Rafflecopter widget (it can take a few seconds to load) and enter to win so you too can splurge on all those things that have been hanging around on your Amazon wishlist. (Please tell me I am not the only one with like 100 things on mine!?) 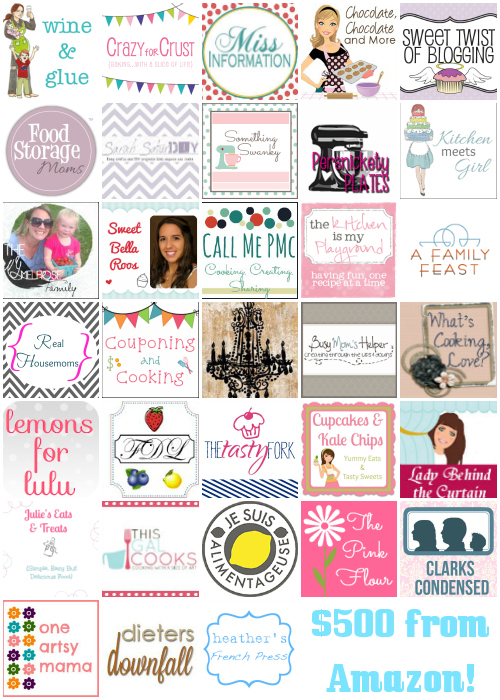 And stop by and show some of my favorite blogs of all time some summer lovin' too!